Our website is under construction please bear with us! Menu items and more to come! Please contact us if you have any questions. Please contact us for all catering & special order requests. We are able to create a menu tailored specially for the size and type of event you’re hosting on the Sunshine Coast. Breakfast, lunch, dinner, dessert, and snacks featuring local, seasonal, organic ingredients. Give us a call or send us an e-mail and we’ll see what we can do to feed you. We are happy to accommodate special orders. A week’s notice is usually required for large orders and most cakes. DON’t MISS OUT - ORDER AHEAD! 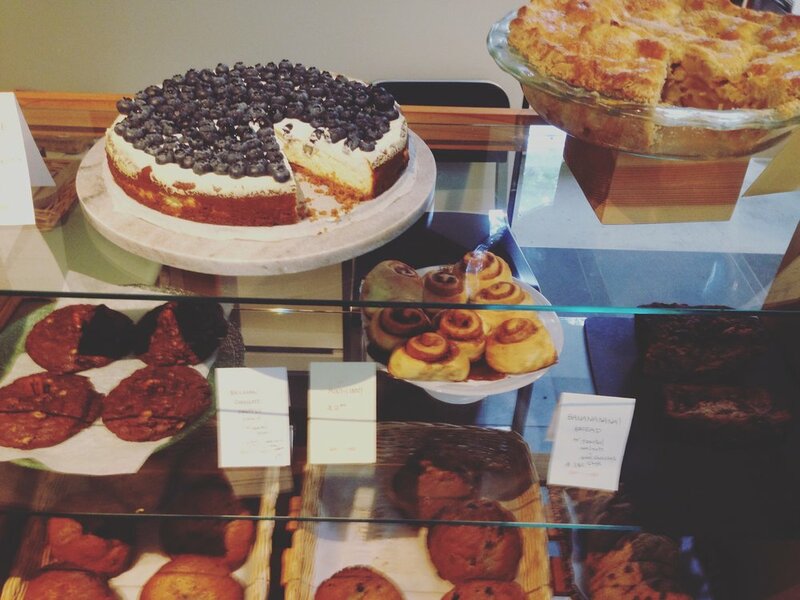 Our little bakery is busy on weekends and during the summer - we often sell-out of baked goods! We recommend ordering ahead to ensure your favorite treat is ready for you after you’ve done your hike. Either give us a call or send us an e-mail the day before or stop in to make your purchase before you head out on the trail. We are located a short walk along Doriston Hightway at the head of the trail into Skookumchuck Narrows Provincial Park. Please park on Egmont Road and walk in if you are able.